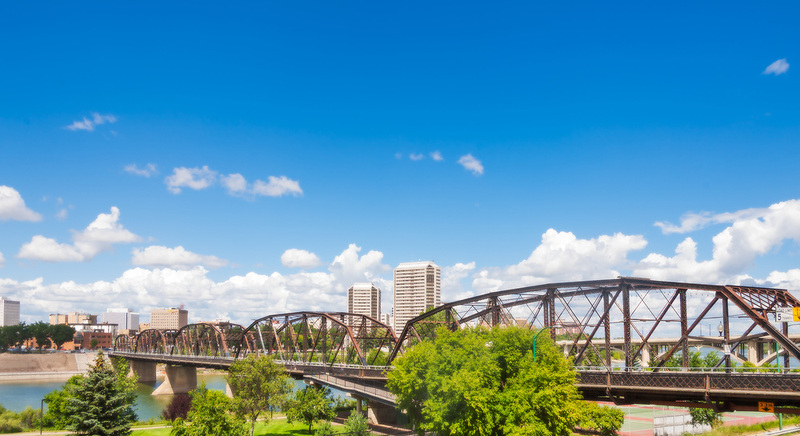 This steel truss bridge spanned the South Saskatchewan River, joining the settlement of Nutana with the town of Saskatoon and village of Riversdale. The promise of the first road bridge to cross the river led to the amalgamation of the settlements to form the new City of Saskatoon in 1906. The bridge opened in 1907. It was demolished in 2016. 10" x 20" photograph on paper, framed.